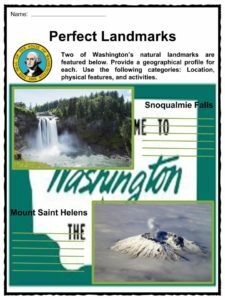 Washington is a state in the Pacific Northwest region of the United States, located north of Oregon, west of Idaho, and south of the Canadian province of British Columbia on the Pacific coast. 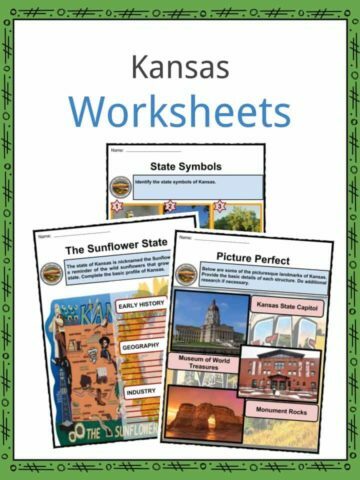 See the fact file below for more information on Washington or alternatively download our comprehensive worksheet pack to utilise within the classroom or home environment. In 1775, Spanish Captain Don Bruno de Heceta was the first European to arrive in the territory. On October 10, 1805, the Lewis and Clark expedition further explored the land. 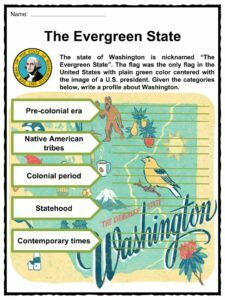 Washington became a part of the Oregon Territory in 1853. Native American tribes such as the Chinook, Nisqually, Quinault, Puyallup, Cayuse, and Spokane lived west and east of the Cascades. On November 11, 1889, it became the 42nd state in the United States of America. 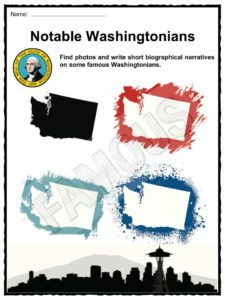 Washington is the only state in America named after a former president (George Washington). On March 2, 1853, the Senate passed the bill renaming the Territory of Columbia as Washington. It was signed by President Millard Fillmore. 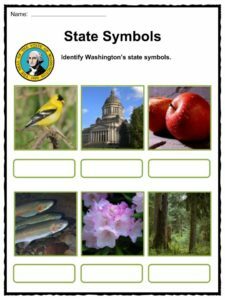 Washington’s state flag was the only flag in the United States with the image of an American president. Olympia is the state capital, while Seattle is the largest city. In 1941, the Coulee Dam was constructed as a response to the Great Depression for the production of electricity. It became the largest dam in the United States. By 1943, the Hanford Works atomic energy plant in eastern Washington played a large role in the development of atomic bombs in the United States. The first revolving restaurant was opened in Seattle in 1961. 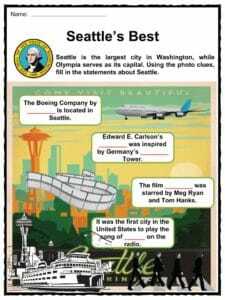 Everett housed the world’s largest building with Boeing’s assembly plant. Furthermore, the Boeing Airplane Company originally owned United Airlines. Washington has 140 public airfields and 16 state airports. Microsoft billionaire Bill Gates was born in Medina. His corporation is located in Redmond. In addition, Internet companies such as Amazon.com, Classmates.com, Marchex, and Whitepages.com were founded in Washington. 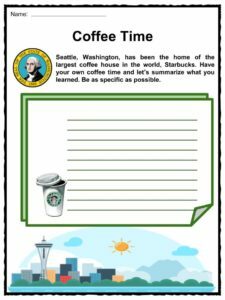 The famous coffee chain, Starbucks, originated in Seattle, while the first soft-serve ice cream machine was invented in an Olympia Dairy Queen. In 1986, the largest county in Washington, King, was named after the civil rights activist Martin Luther King, Jr.
Mount Rainier is the highest point in Washington, which was named after a British soldier, Peter Rainier, who fought against the Americans during the Revolutionary War. The largest man-made island, Harbor Island, is located in Seattle’s Duwamish Waterway. Geographically, it has the most glaciers compared to other states in North America. It is the biggest producer of apples in the United States. In addition, pears, raspberries, sweet cherries and hops also contribute to the state’s agricultural economy. The longest floating bridge in the world connects Seattle and Medina, encompassing Lake Washington. Some of the famous Washingtonians are Bob Barker (TV host), Bing Crosby (singer), Chief Joseph (Indian leader), Bill Gates (software executive), and Jimi Hendrix (musician). 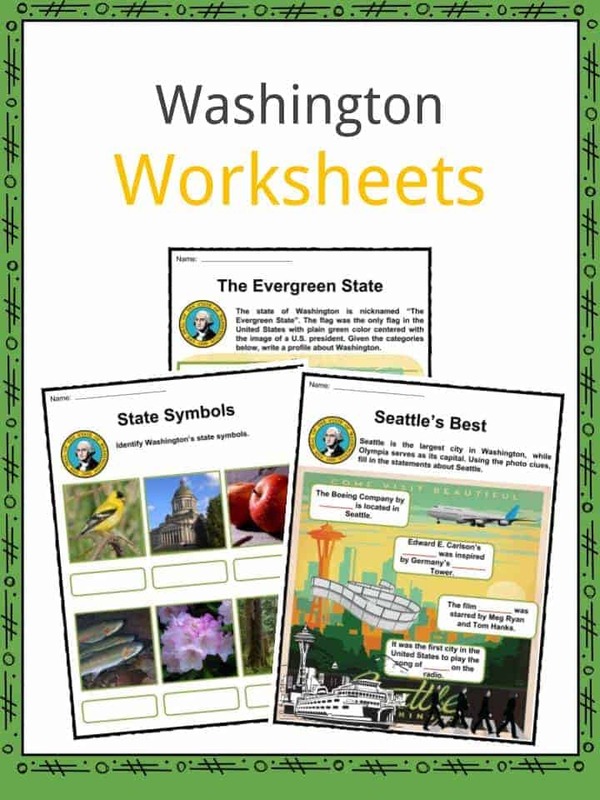 This bundle contains 11 ready-to-use Washington State Worksheets that are perfect for students who want to learn more about Washington which is a state in the Pacific Northwest region of the United States, located north of Oregon, west of Idaho, and south of the Canadian province of British Columbia on the Pacific coast.